(hereinafter “the Board”) may decide. 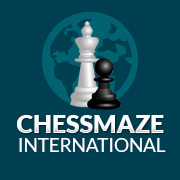 v) Other Welsh chess organisations approved by the Management Board, subject to ratification at the next AGM. the playing of competitive chess throughout Wales. clubs and their respective secretaries. ii) The Board is authorised to accept or reject any such applications, subject to ratification at the next AGM. Appeal Committee referred to in 6(vi). Association or Zone shall be recognised by the Union as an affiliated club. may apply to the Management Board to be recognised as an affiliated club. member of the Union and shall be entitled to vote at General Meetings. viii) Officers of the Union and Zone delegates must be registered members of the Union. a class. A junior member is a person who is under 18 at the start of the season in question. of the season commencing on the previous 1 September. at General Meetings of the Union. g) Appointment of an Independent Accountant, who shall not be an officer of the Union. than 28 days prior to the meeting. Twelve shall be a quorum at an AGM. copy to officers of the Union, Zone Secretaries and secretaries of affiliated clubs. Twelve shall be a quorum at a Special General Meeting. raised by itself but must submit accounts to the Finance Director on request. from each zone and a delegate nominated by the Welsh Ladies Committee. delegate from each zone and a delegate nominated by the Welsh Ladies Committee. zone and a delegate nominated by the Welsh Ladies Committee. electronic means and reported to Management Board meeting. over at any time during the 12 months immedeately prior to that event. cause and a person so appointed shall serve until the next Annual General Meeting. constitution and its power shall be binding subject to the pending ratification by a General Meeting. to be represented, throughout the inquiry and to furnish evidence. took part in the deliberations leading to the decision of the Board which is the subject of the appeal. binding on all members, affiliated clubs, Counties and Zones. iv) All Welsh Junior Championships designated closed by the Junior Committee. who have not actively associated themselves with Welsh Chess. previous winner of the corresponding event. (dd) Ten years consecutive residence in Wales at any time prior to the event in question. e) Residence in Wales for at least two years immediately before the event in question. f) Competing in the equivalent Championship in at least one of the previous three years. the WCU and registered as a Welsh player by FIDE. a) In order to take part in a closed championship, a player must be under the relevant age for that event. by virtue of residence in Wales. event remains qualified to take part in junior closed championships. at the discretion of the Junior Committee. c) Spouse of a person who was born in Wales, provided that the spouse possesses a British passport. at the time of a registration in the WCU or an affiliated club or zone. years prior to the date of first registration with the WCU. shall have their period of registration and residence reduced to one year before they can represent Wales. (ii) who has represented the Union in a previous junior international event held under the auspices of FIDE. members of the Welsh Chess Union at the time of selection. with the WCU at the time that the selection is made. shall be made except at the AGM or a Special General Meeting. and such proposal shall be voted on without amendment thereto. of the communication shall be sent to such a recipient if he or she requests it.